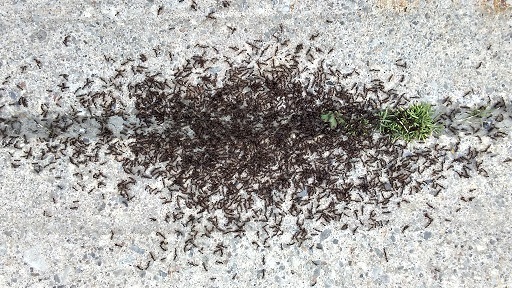 Simon St. Laurent, Squibber: Ant Action on Toronto Sidewalk? At first I thought it was a big ant action scene; then I realized it's a drone's view of Doug Ford's swearing-in ceremony to be held on June the 29th. "There were two million people at Queen's Park."